We love this book! 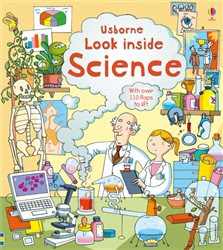 Look Inside Science introduces basic knowledge of different science. For example, how the plants grow, different parts of body, gravity, the universe. Moreover, this book is not boring at all as the flaps and flap-inside-flap will keep the kids' fingers very busy.